Alstom has been awarded a Rs 580 crore contract by Bangalore Metro Rail Corporation Limited (BMRCL) to provide power supply and traction electrification for the 33-kilometre extension to Bangalore Metro under Phase II. It is Alstom's largest third-rail electrification contract in India, the comany said. 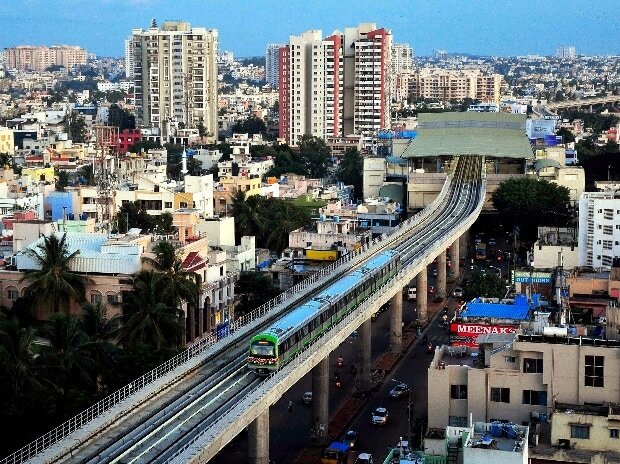 Phase II encompasses extension of Bangalore Metro's existing North-South and East-West corridors, translating to a substantial increase in the reach of the metro and reduction of road congestion. The scope of the contract includes engineering, supply, installation, testing and commissioning of 750V DC third-rail traction electrification, the construction of 30 33kV/415V auxiliary substations, 26 33kV/750V DC traction substations and a 33kV cable distribution network along the viaduct. Alstom would work on integrating this new infrastructure with the existing system on the Phase I lines including augmentation of SCADA system, a company statement said. The execution of the project would be completed in five phases with the commissioning of the first 6.5-kilometre stretch expected by the end of 2019. "Alstom's footprint in systems and infrastructure is growing rapidly, and this project will give us an opportunity to extend our cutting-edge capabilities and solutions to our customer," Alstom Managing Director, India & South Asia, Alain Spohr said. Managing Director of BMRCL, Ajay Seth said the new line, once commissioned, would bring in much needed flexibility in the network while significantly reducing vehicular traffic in the city. This is the second major contract win for Alstom in Bengaluru. In 2009, Alstom won the contract to provide the U200 signalling and telecommunications solution for 42 kilometres of track comprising Bangalore Metro Phase I, completed in 2017. Globally, Alstom designs, builds, delivers, tests and commissions all types of rail electrification infrastructure with a strong focus on customer needs and the capability of offering maintenance of the entire system.